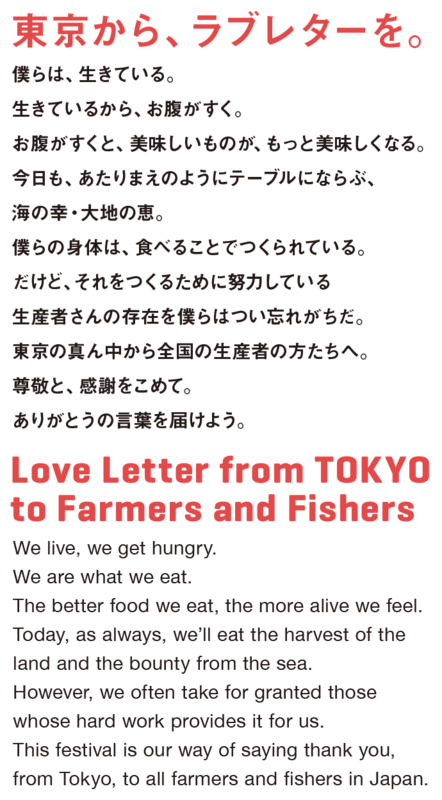 TOKYO HARVEST is Japan’s representative harvest festival, which is meant to show our respect and gratitude to farmers and fishers across the country. At this event, through "100 Japanese Food Experiences", you can rediscover and enjoy the features, culture and history of every region of the country. We are hoping this food festival will tell people from all over the world, not just in Tokyo or Japan, about how delicious Japan can be.